We are a second generation family business, designing beautiful products, making them in America and providing exceptional “old school” customer service. As a division of Contract Illumination, Inc. we share a 29 year history of excellence in manufacturing beautiful lighting fixtures, mailboxes and illuminated house numbers at our factory in Orange, CA. Our experienced design team, manufacturing staff and sales team bring a commitment of excellence that gives our customers a comfort to know they are buying "American Made" products that are not only unique and beautiful but will also be “Guaranteed for Life”. Our exclusive solid brass designs are inspired by history and architecture with intimate details and beautiful artwork. In today’s world of import products, “what you see is what you get”, our “American Made” products allow you to personally create lighting fixtures, mailboxes and house numbers that will be a perfect complement to your home. 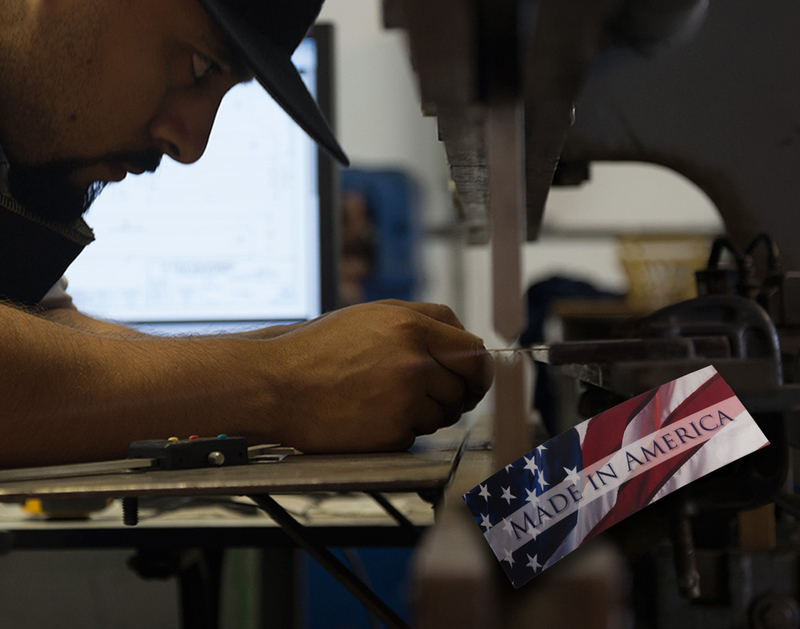 America's Finest products are hand-crafted to your specifications and can be shipped or picked up at our factory in Orange, CA. You select the style and then you select a finish and glass panels to create a fixture that is perfect for your home. We use only the finest materials, combined with expert craftsmanship to fabricate our fixtures, and this is why we proudly Guarantee Our Fixtures For Life. We Guarantee For Life that all of our products will be free from defects in material and workmanship and that any structural problem will be repaired at our cost. We stand behind all of our products and will do whatever is necessary to ensure you are completely satisfied should a problem arise. Patina finishes on our exterior lights and mailboxes will naturally mature over time, changing in appearance and creating a living finish. This Guarantee is limited to the repair or replacement at America's Finest expense. This Guarantee does not cover labor charges and will not apply if the fixture has been modified or damaged during installation or ongoing maintenance.